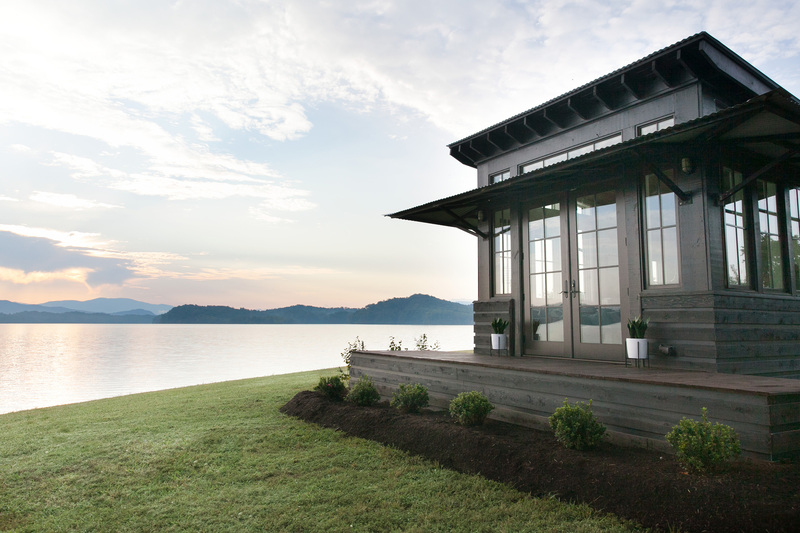 MARYVILLE, Tenn., Dec. 21, 2017— Clayton, one of the largest home builders in America, is unveiling the Saltbox floor plan, the second addition to its Designer Series by Clayton Tiny Homes. 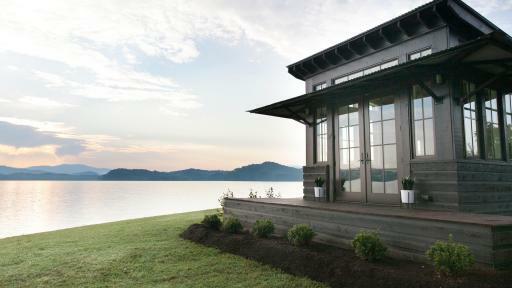 Clayton first introduced the Low Country, the first tiny home floor plan in the Designer Series, in person at the annual 2017 Berkshire Hathaway Shareholders meeting. 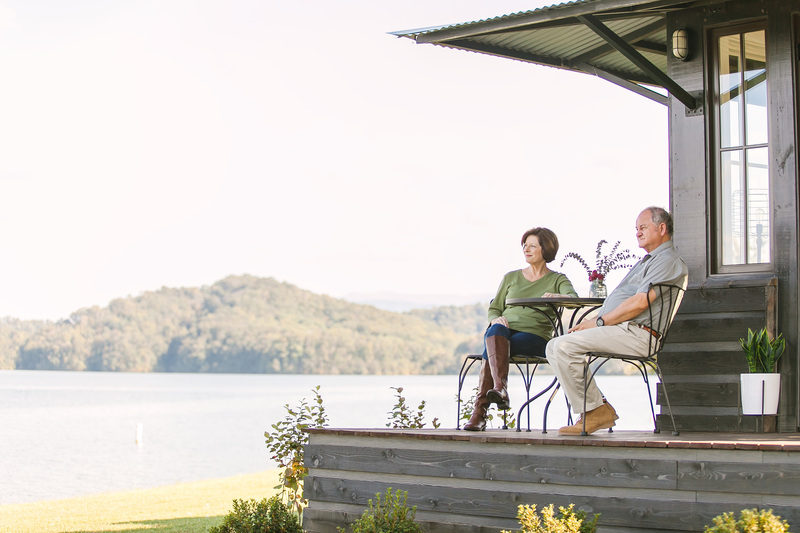 Designed by renowned architect Jeffrey Dungan, the Saltbox is designed to be a perfect year-round permanent residence, vacation home, guest home, or accessory dwelling unit. “We continue to push ourselves to design and innovate with our customers’ unique lifestyles in mind,” Clayton CEO Kevin Clayton said. 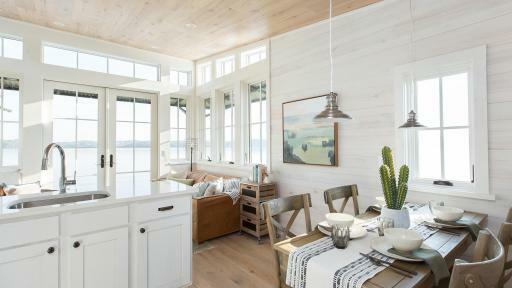 “The Saltbox is the perfect tiny home for those looking to live simply, but luxuriously. 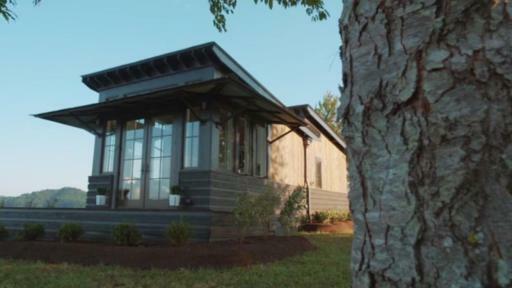 Built indoors to International Residential Code (IRC) building standards, the Saltbox home is a “tiny” modular home constructed to be permanently affixed to the homeowner’s property. The Clayton Built® tiny home possesses all the latest in modern home design, both inside and out. Ply Gem® French doors; a white Summit Appliance® range and refrigerator; and tall, 9’5” ceilings in the bedroom provide a roomy living space inside. 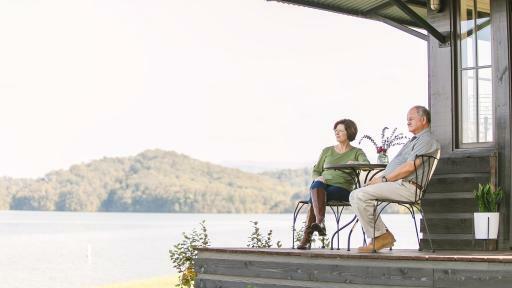 On the outside, the premium standing seam metal roof, stylish vertical shiplap wood siding with horizontal board and batten are combined to provide a high-quality exterior that are both stylish and built to last. 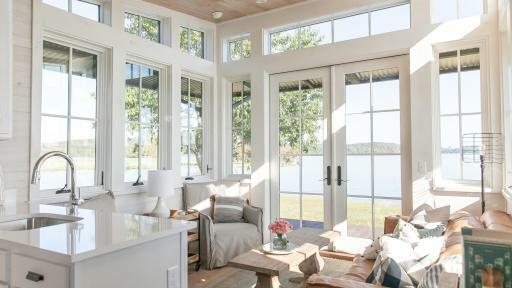 The Saltbox also utilizes several features that allow it to be an efficient home. 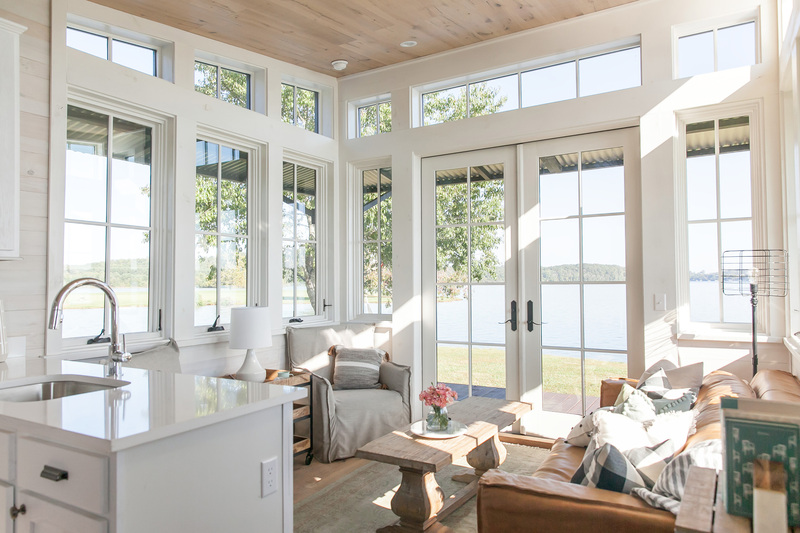 Energy-efficient Ply Gem® aluminum clad windows and doors as well as a space-saving tankless water heater give Saltbox owners ways to minimize utility consumption. 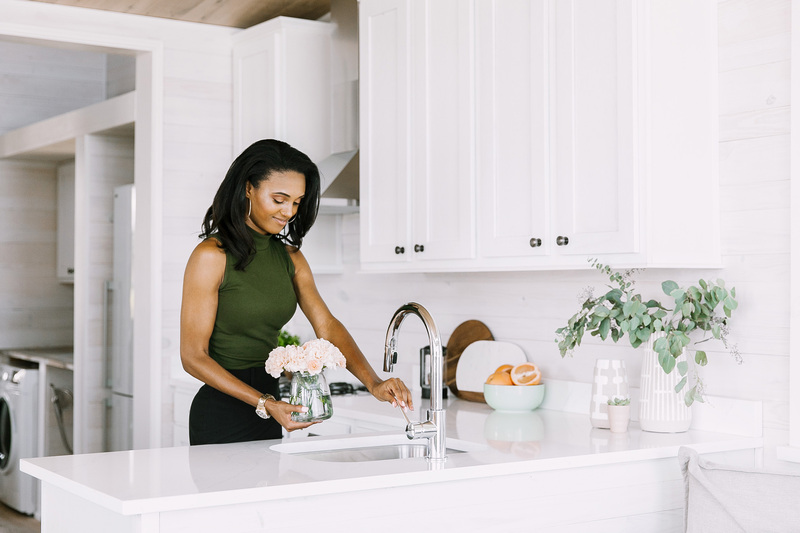 Though the floor plan is compact, homeowners of the Saltbox won’t have to sacrifice having friends over or entertaining. 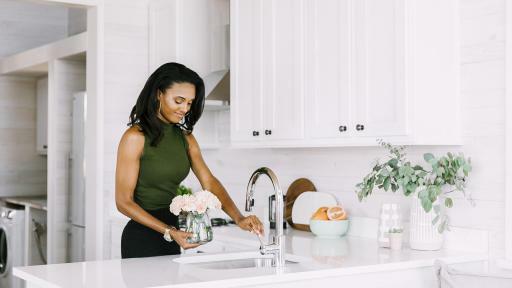 The home is designed to fit a dining room table that seats six, and a covered porch with large overhang means homeowners can utilize outdoor living spaces during different weather conditions. 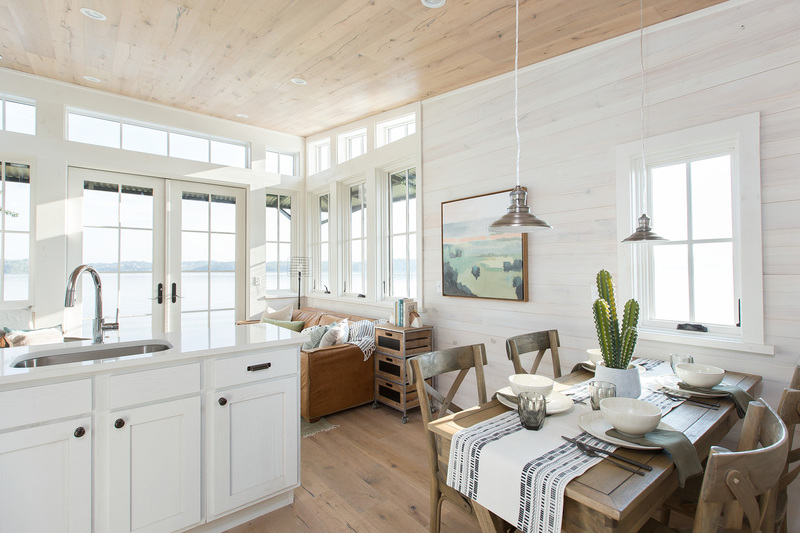 For more information and updates on the Saltbox and the Designer Series , visit designerseriestinyhomes.com and follow Clayton Tiny Homes on Facebook. Designer Series tiny homes are not available at Clayton Homes retail locations. Interested distributors, builders and developers should contact Clayton Tiny Homes on their website.